Kelly’s post yesterday made me realise how far I’ve come. I’m utterly buggered this week. I don’t know why, but I just am. No amount of sleep is enough. No food (good or bad) is giving me energy. I’m just having a tired out week. I feel the worst , think the worst and act the worst when I’m tired. I worry more. And I started doing that on Monday evening on my way home from work. I can’t even remember what I was worrying about now. But I worked on it. As soon as I found myself worrying about whatever stupid thing it was, I realised I was very tired. And that the tiredness was what I had to tackle, not whatever stupid thing my brain decided to worry about. 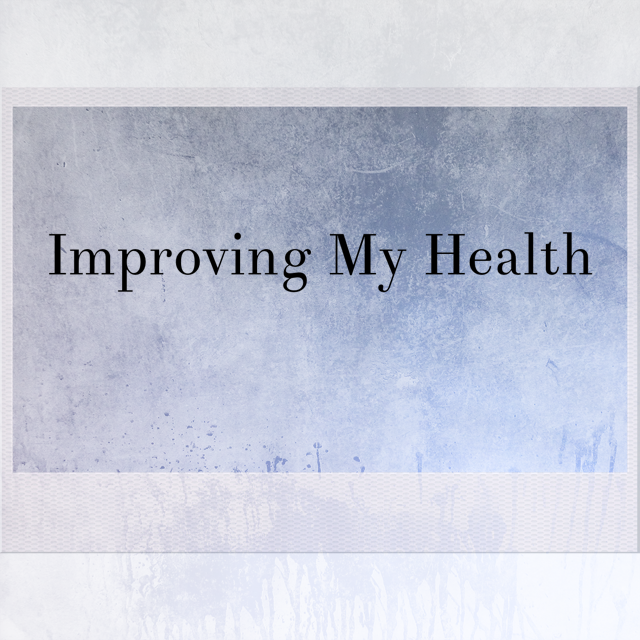 My original tag line for this blog included things like healthy eating, exercise and positive thinking. I removed them a while back, because I haven’t ended up blogging about them on their own much. But even the thought that I might blog a lot about any of those topics has really helped me to just be aware of things I can do to help myself think more positively. Sometimes that’s a lot of the battle. I’m fairly naturally cynical and sarcastic, so some of the more woo woo, ultra positive stuff on the internet or in the self help arena makes me roll my eyes and fake vomiting. But you can be cynical, sarcastic and positive, even if it sounds kind of counter intuitive. It’s more about finding what works for you and using it. If woo woo works for you, use it. If it makes you dry retch, then move on and find what does work for you. In all areas of life, there’s one thing I believe: there is no one size fits all solution. Which is probably why most diet fads fail. Which brings me to other parts of my health. Namely, exercise. Man, have I let that slide. When I was reading Chris Guillebeau’s book The Art of Non-Conformity recently there was an exercise about mapping out your ideal day. And one of the things that clicked in my head as I read this: I want to do a different type of exercise every day. Kayaking one day. Stand up paddle-boarding the next. Cycling. Walking. Maybe a dance lesson (though who knows what style). Exercise is not something that I feel the need to be a specialist in. It’s something I want to enjoy and learn about. Of course, three out of those five things cost money, which is what I don’ t have right now. I do have a bike and some legs though. And I’m still not cycling or walking. I would say I need an exercise buddy to ‘motivate’ me, but putting more pressure on me is more likely to make me say ‘stuff this’ and not do it. My brain is stubborn. One day I’ll work out the way to make myself develop the exercising habit. How do you go about your physical exercise? Do you find being aware of why you’re having certain thoughts to help “control” them? I know it’s an over-used word, but a state of “mindfulness” really helps me when I’m down. Learning to recognize I’m in a black phase really helps me gain perspective- like you, I realize it happens when I am stressed, tired and overwhelmed. Exercise is something I know is important but have always struggled with. I’ve had gym memberships but it never stuck. Now I have an exercise bike at home and I try to get on it and watch tv or read social media on my phone. By multitasking I find it makes it easier 🙂 you definitely have to find a form of exercise that suits you- eg I hate walking so avoid it like that plague! Yes, well over used haha. But I guess things are usually cliche for a reason. I know when I felt myself falling in a big hole in April- tiredness was the main culprit. Luckily the Easter weekend rolled around and every time my kids slept, I slept too. I didn’t expect to catch up on sleep on that weekend – but I did and felt a million times better once that weekend was over! So It’s good that you were able to identify tiredness as the thing you need to tackle because out of all the ‘things’ – tiredness is one of the easier ones to resolve isn’t it?! Stress is the clincher for me. All of my good intentions disappear. I eat crap, stop exercising (not that I do much anyway), drink more than I should and sleep badly. None of that actually helps me deal with the stress of course! Like you I’m a bit of a pessimistic cynic (or cynical pessimist – whatevs!) but I’d really like to adopt mindfulness and meditation etc more. It sounds ‘wanky’ but I aspire to be someone who meditates and is more zen! Finding the version of wanky or woo woo that works for you is the hardest part, I think. I haven’t been doing formal study or seeing anyone to help me (because it’s more of a personal project to live a better life than a ‘need’) but just reading a lot. That way I find what works for me.